Home / Barbara Jones-Brown / Revenge for Haun’s Mill & Pratt’s Murder? Revenge for Haun’s Mill & Pratt’s Murder? 20 years before the Mountain Meadows Massacre, 17 Mormons were killed in Haun’s Mill, Missouri. And just four months earlier, Parley P. Pratt, a beloved Mormon apostle was killed May 13, 1857 in Arkansas. Just a few months after Pratt’s death, around 100 immigrants from Arkansas were killed. 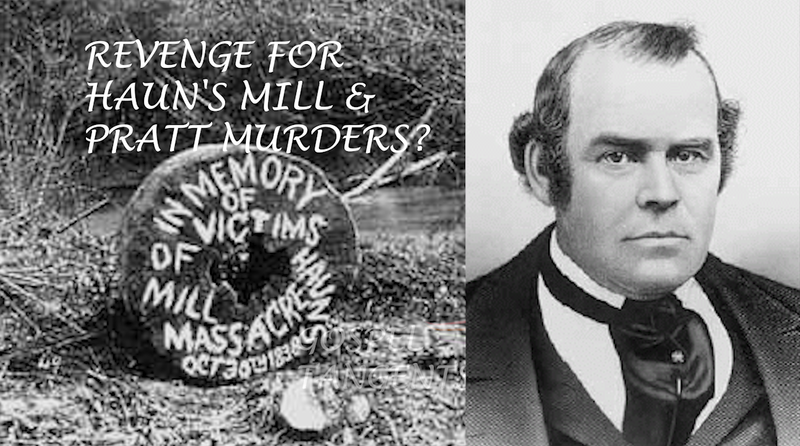 Is it true that Mormons sought revenge for the Haun’s Mill and Pratt’s murder? Barbara Jones Brown will answer that question. Were you surprised to hear Brown downplay Pratt and Haun’s Mill in the Mountain Meadows Massacre? Check out our conversation…. Barbara Jones Brown disputes the idea that Mountain Meadows was revenge for Haun’s Mill or Parley Pratt’s murder. Don’t miss our other episodes about the massacre.